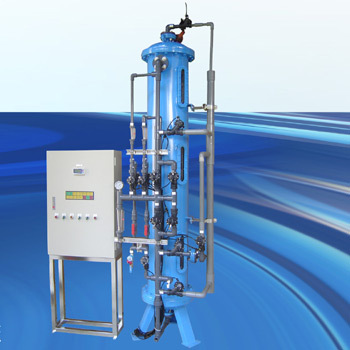 Automated Operation Regeneration System - Reverse osmosis System,Mixed or two bed deionizer - Pre-treatment, R.O water, DI water - Machinery - Seller - TAIWAN WORLD TRADE ASSOCIATION - TaiwanB2B - TaiwanManufacture - TaiwanProduction - YOUTEC Co., LTD. Address: No. 23, Lane 414, Sec. 4, Chang Nan Rd., Chang Hua City, 500, Taiwan, R.O.C. 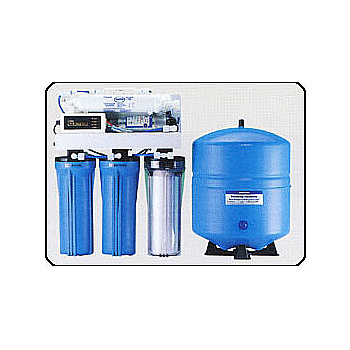 AMB single tower water purifier offers high quality water and simple instructions. 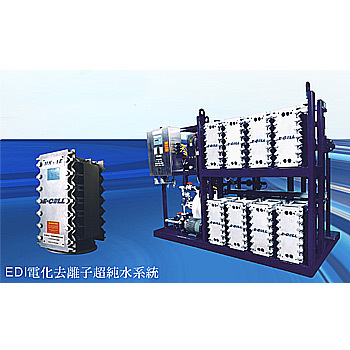 With PLC and pneumatic valve as control center, it can execute 10 to 15 works. When power is off, PLC prevents files lost and reactive once power is on. 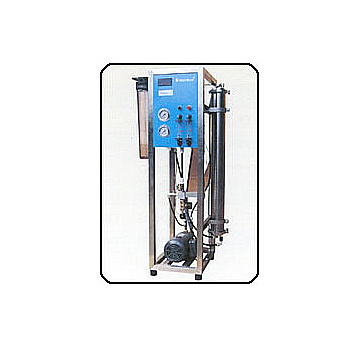 AMB system uses high-class resin, which size factors are average and separate. During agent pulling, it creates a PH buffering area to prevent negative and positive resin to contaminate each other. Therefore, after regeneration, the resin revives completely, reaching to high efficiency, high economical and high purity water. With logic ability, 6 functions, 11 steps for users to program and control as their wish. Automatic regeneration: When the water quality lowers to a certain point, the controller would judge its situation, depends on which would it regenerate. The purifier will then provide the water again. 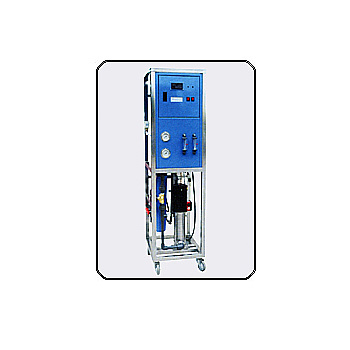 Semi-automatic regeneration: Automatic regeneration can be controlled by switch or manual. 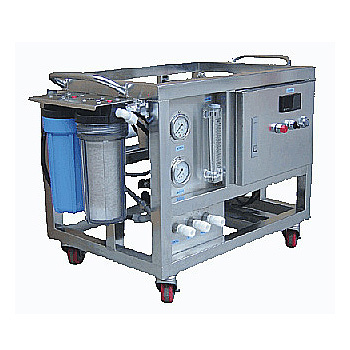 When the purifier senses the quality is below standard, a cycling washing procedure would be under operation; if the quality couldn''t go up, the purifier would stop giving water to make sure no low quality water would be used and regenerate later. If there is no improvement after regeneration, the alarm would activate and inform the controller. Special regeneration, with high quality resin to regenerate easily. Its high precision guarantees to offer the results as the right graph.